I was deeply saddened to learn of the unexpected death of Sir Henry Brooke. 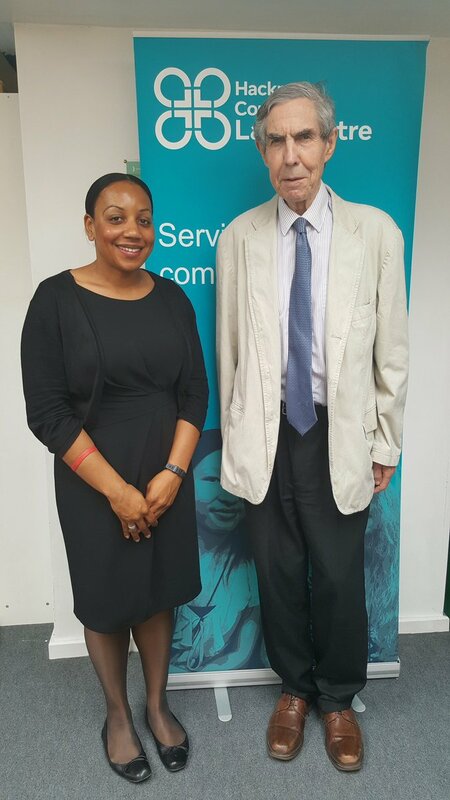 In recent months, Sir Henry had become a good friend of Hackney Community Law Centre (HCLC). I was in regular contact with Sir Henry in the run up to HCLC’s most recent Annual General Meeting (AGM), which was only held in December. Sir Henry praised the HCLC annual report I wrote and, on the day of the AGM, in an email exchange with him to confirm his taxi arrangements, I was pleasantly shocked and surprised to also read the line: “I have just transferred £1,000 gross to (HCLC’s) bank account, with best wishes“. Sir Henry Brooke was witty, funny, brilliant, kind and clever and cared so much about access to justice for the poor. He also really “got” race equality at the Bar. I so enjoyed reading this excellent blogpost he wrote about the work he carried out as Chair of the Bar’s Race Relations Committee. I wish I had known him then. HCLC Chair Ian Rathbone has paid tribute to Sir Henry on behalf of the team here. We will miss Sir Henry Brooke very much.